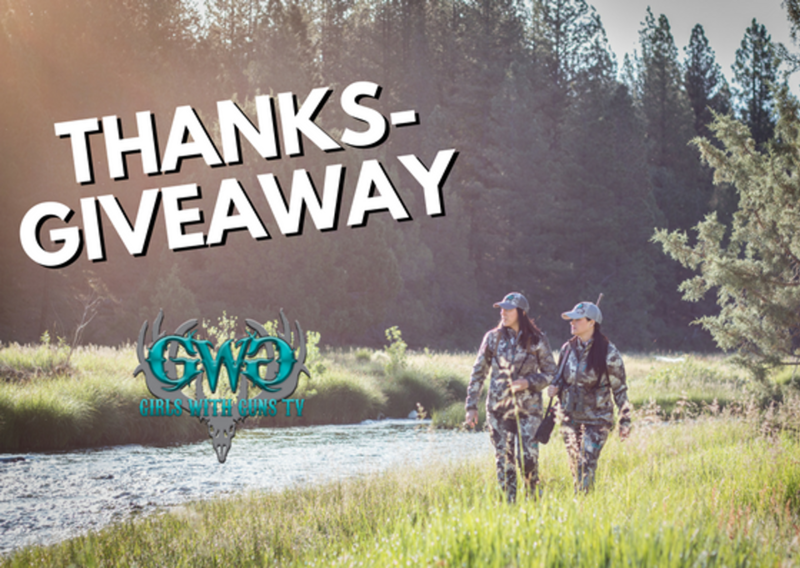 We’re so thankful for all of our fans, we wanted to show our appreciation with a huge THANKSGIVEAWAY featuring prizes for our amazing partners and sponsors. One winner will be selected to win a Ruger Rifle, a Vortex Diamondback HP 3-12×42, Vortex Hat, and Vortex Decal, a Sportsmen’s Alliance Membership, a COAST Products Rechargeable Flashlight, accessories from Do-All Outdoors, No Mess Dress by On Track Outdoors, a pair of Woody Max Muck Boots, GWG Tiger’s Eye & Turquoise antler burr necklace & matching earrings from Tine Designs by Mindi, and a $50 GWG Gift Card. Two runner up winners will be selected to win a COAST Products Headlamp, a Sportsmen’s Alliance Membership, a Kershaw Knife, accessories from Do-All Outdoors, No Mess Dress by On Track Outdoors, a pair of Woody Max Muck Boots, and GWG accessories. Five runner up winners will be selected to win a pair of Woody Max Muck Boots and GWG accessories.